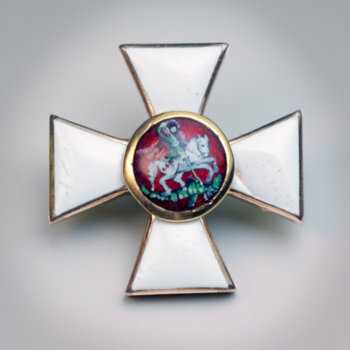 A very rare well documented World War I Russian Imperial Order of Saint George 4th class badge. 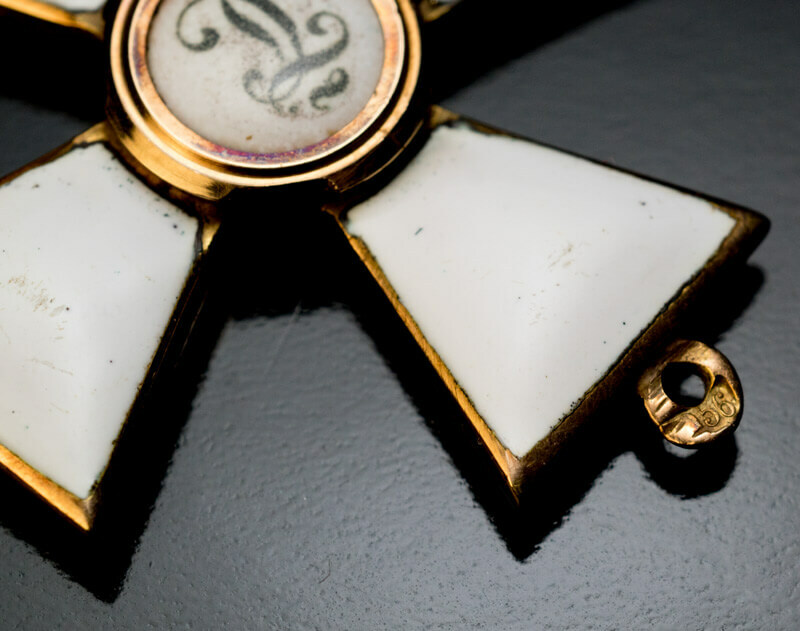 The order is crafted in 14K gold and enamel. Marked with 56 zolotnik Imperial gold standard. 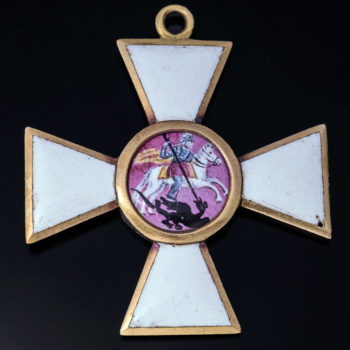 This cross was awarded to Colonel Vladislav Eduardovich Glass for his bravery in combat on November 12, 1914. The column under his command was largely outnumbered by the Germans and was heavily bombarded by the enemy – defeat was imminent. Nevertheless, as the column was preparing to retreat, Colonel Glass – though wounded – continued to push forward and attack. Colonel Glass’s unparalleled courage and determination inspired his soldiers to follow and they were able to stop the enemy’s attack and, as a result, saved many soldiers’ lives. 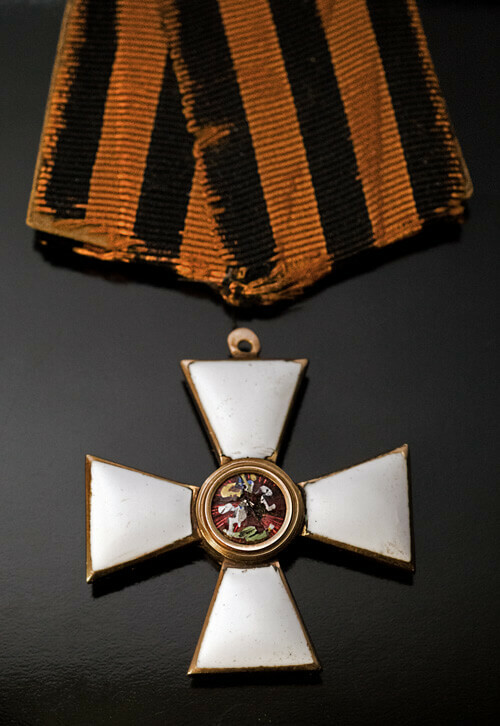 The cross comes with its original orange-black St George ribbon and a photograph of the recipient. 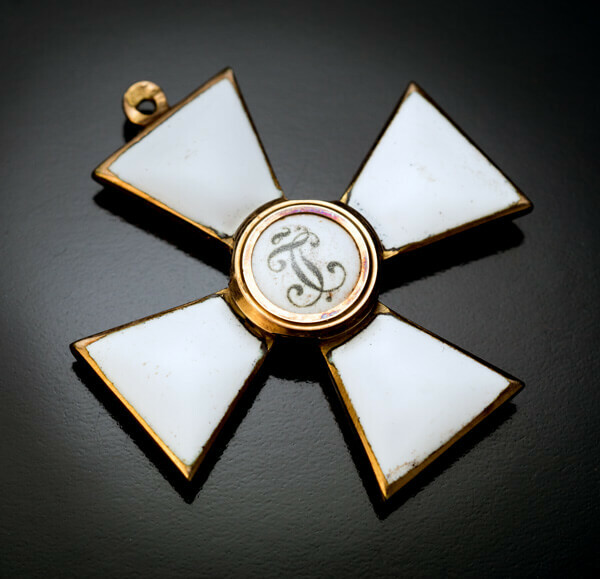 Glass received the rank of Major-General on October 22, 1916. 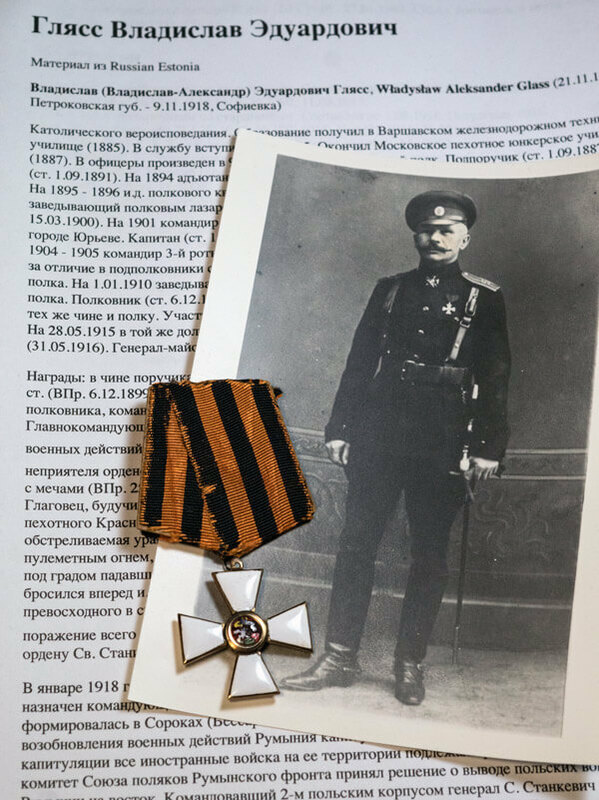 He participated in the Civil War in the White Army as the commander of the 4th division of the Kuban Plastun Brigade (October 14, 1918), and was killed in action on November 9, 1918 at Sofievka. Glass’s wife and his three children emigrated to America. This cross was purchased directly from the family. 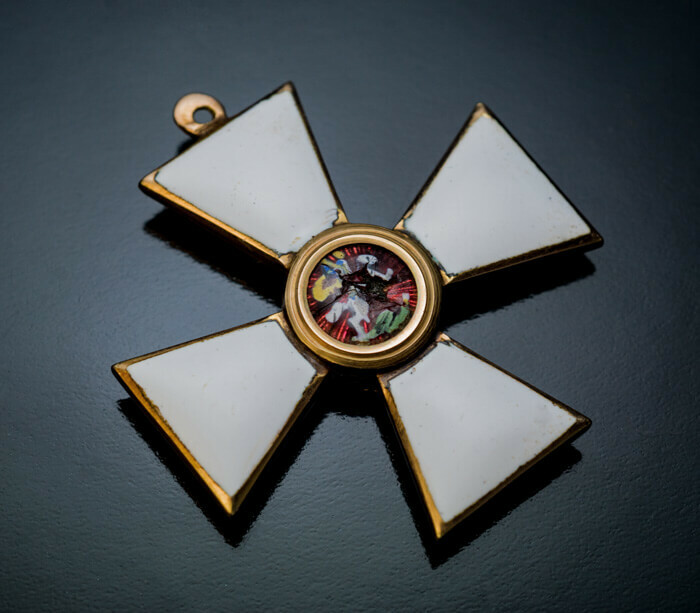 The Order of Saint George, the most prestigious military award of the Russian Empire, was instituted by Empress Catherine II in 1769.